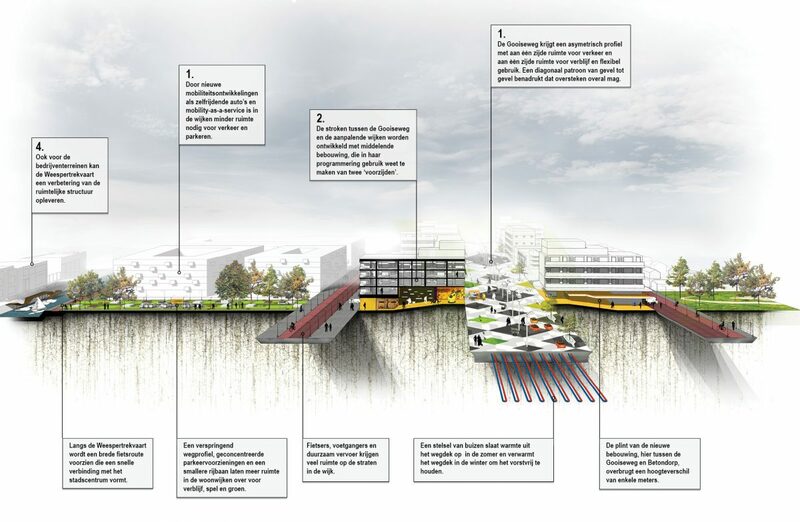 In 2016 FABRICations was selected by BNA (Dutch Architects Association) to investigate the future of Urban Ring roads. 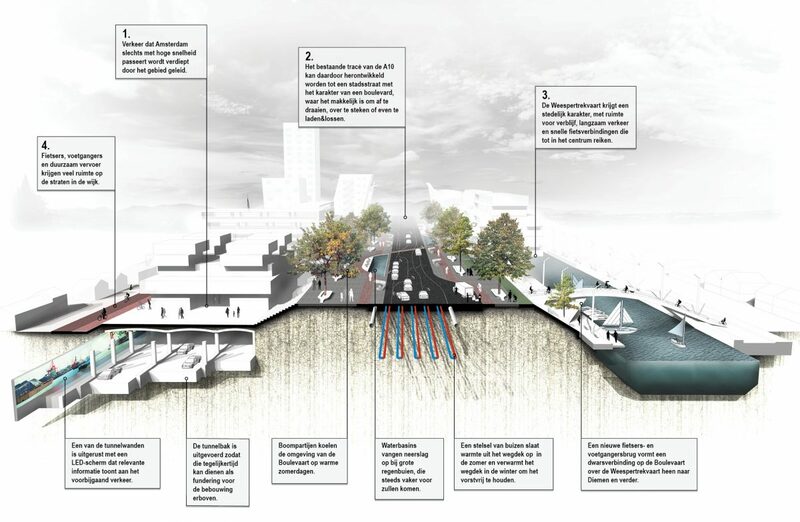 Our study, published in the book “Snelweg x Stad / Highway x City”, explored future scenarios in Amsterdam with a research by design approach. In the images, you can see the strategies developed for the Gooiseweg (on top), and the A10 (below). Gooiseweg has an asymmetrical profile: one side is for high volumes of traffic, the other for flexible and recreational use. The road has a wall-to-wall diagonal pattern to emphasize that crossing is allowed everywhere. The existing route of the A10 is redeveloped into a city street with the character of a boulevard. The road profile is suited to high volumes of traffic. It is easy for smart vehicles to turn, cross and load and unload. The Weespertrekvaart has an urban character, with room for recreational space, slow traffic and fast bicycle connections into the city centre. As on Gooiseweg, an energy system using pipes is installed underneath the road surface. Power saved during the summer is used to heat roads and buildings during the winter.